by mary roach | Science | This book has not been rated. This is wonderful, laugh-out-loud stuff, a A blend of history, science, quips, and commentary - informative, sometimes startling, and very funny. "This is a book about notable achievements made while dead.... 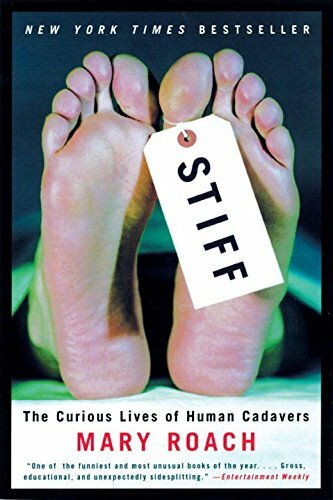 This is a book about the sometimes odd, often shocking, always compelling things cadavers have done. Not that there's anything wrong with just lying around on your back. In its way, rotting is interesting too, as we will see. It's just that there are other ways to spend your time as a cadaver. Get involved with science. Be an art exhibit. Become part of a tree. Some options for you to think about. "Death. It doesn't have to be boring."